volunteers to raise money for local charities within their four county service area. 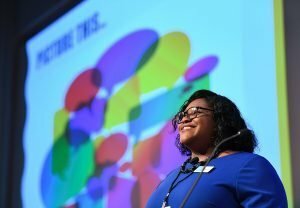 Blue Ridge Electric, which has long championed charitable community causes, decided in 1998 to combine the company’s philanthropic efforts and energies into one large, vibrant community event. 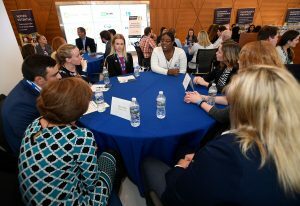 An employee committee reviews over 100 applications annually, and must make the tough decisions on which charities will receive funding from the event. 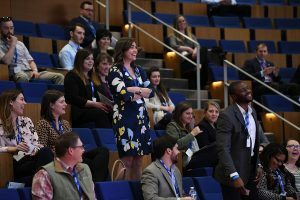 Visit the 2019 Blue Ridge Fest Charities webpage to view this year’s funding recipients. 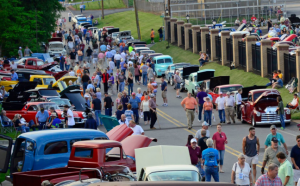 In addition to the live musical entertainment and delicious food, festivalgoers enjoy the largest Classic Car Cruise-in in the Upstate— classics such as Model A Fords, Studebakers, hot-rods, and more. 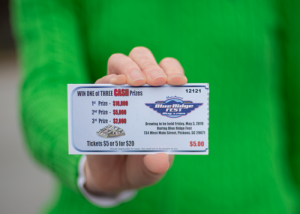 After the highly anticipated performance of The Oak Ridge Boys (and perhaps a little dancing), the evening culminates with a raffle drawing of three cash prizes, with first prize winning $10,000! A raffle ticket can be purchased for $5, or 5 tickets for $20. 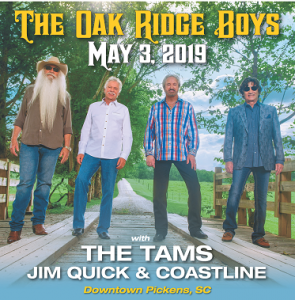 Click here for more information or to purchase tickets, or you can get tickets at the Blue Ridge offices in Pickens and Oconee. 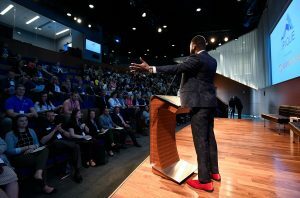 want to return to, and he was recently awarded the Main Street America Revitalization Professional Credential. Congratulations, Jonathan! 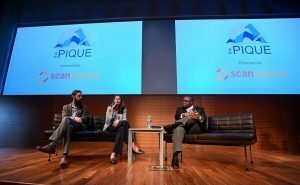 In 2014, Main Street Laurens won a Hughes Investment Elevate Upstate grant, presented by Ten at the Top, for the Finally Friday on the Square program. 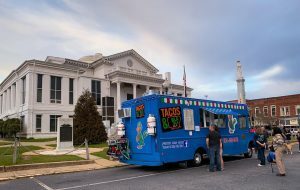 It was billed as a “celebration of all things Laurens,” with live music to bring people into the historic downtown area from April through September. 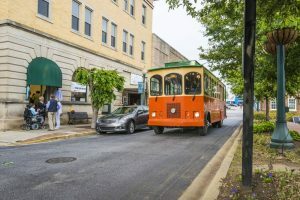 The $5000 grant allowed Laurens to pay for the music artists for all of 2015, but the music was just the beginning—other attractions include free trolley rides, extended business hours, and special treats like an ice cream social. 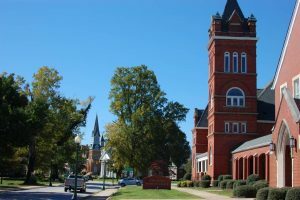 Main Street Laurens’ Facebook page lists events, including the upcoming Sip ‘n’ Stroll Wine Tasting on April 25, and promotes local businesses. 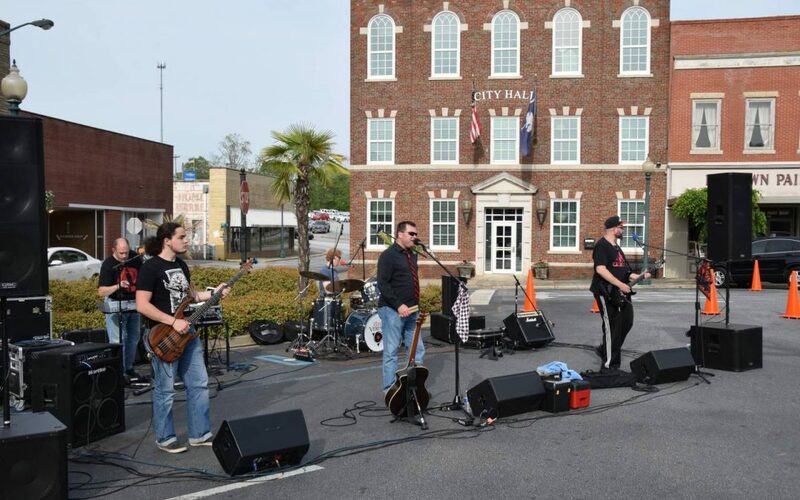 If you haven’t visited downtown Laurens recently, check out one of their events, visit their businesses, and be sure to tag any photos you take with #upstatevibe365! 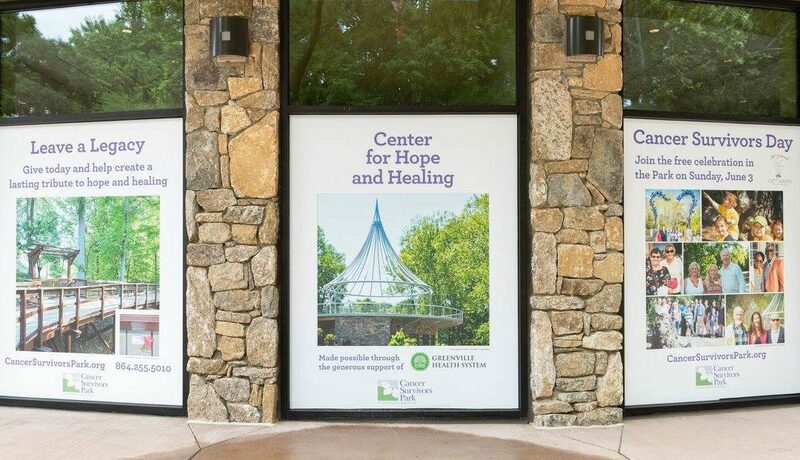 There is an oasis in the heart of downtown Greenville that was created specifically for the purpose of healing and renewal—of hope and moving forward. 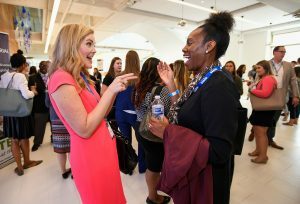 Conceived originally by a group known as Patients First, the idea was for cancer patients to have a space outside of a clinical setting to reconnect with themselves, with nature, and with their loved ones—but also a space that would give those patients and their families access to resources, information, and support. 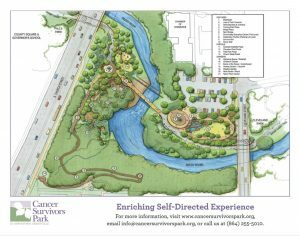 As the space became a reality in the Cancer Survivors Park, Patients First changed its name to Cancer Survivors Park Alliance (CSPA). Once the park was complete, it was turned over to the city of Greenville to be maintained as part of the Parks Department, but the CSPA still actively hosts a variety of exercise and wellness programs for cancer patients and survivors at the park and other venues as part of their mission. 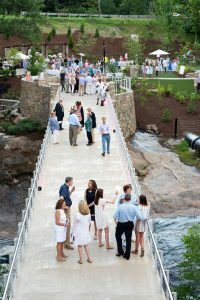 The park, situated off of the Swamp Rabbit Trail between Church and Cleveland Streets, features a boardwalk to connect the park to Church Street, a pavilion/education center, a labyrinth for meditation and contemplation, an outdoor amphitheater, and a suspension footbridge. 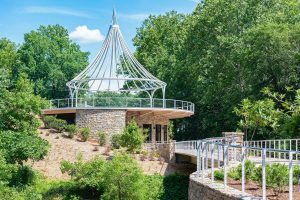 If you have been touched by cancer, or if you know someone who is dealing with cancer, be sure to stop by the park, check out the education center, and take advantage of the support offered by the CSPA.